The cake may stick to the wooden spoon handle while you’re using it to make the holes, so occasionally wipe off the handle. 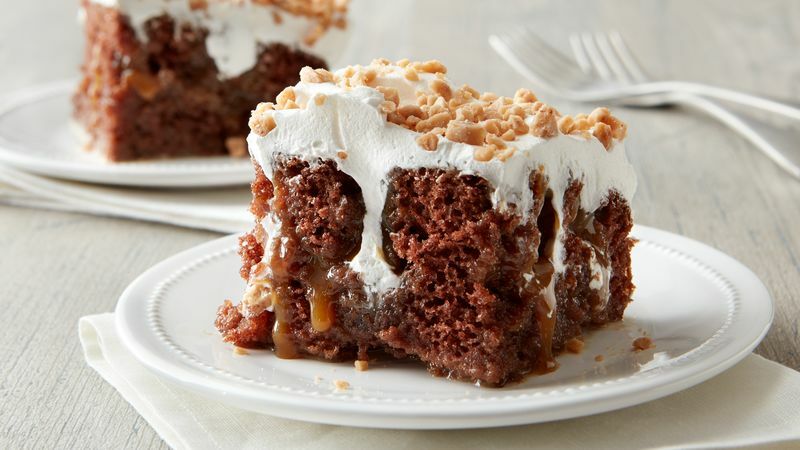 The caramel topping will be easier to drizzle if it has been kept at room temperature. If refrigerated, spoon caramel into microwavable bowl; microwave uncovered on High about 15 seconds. Instead of the toffee bits or chips, coarsely chop 5 bars (1.4 oz each) chocolate-covered English toffee candy, and sprinkle on top of the cake.